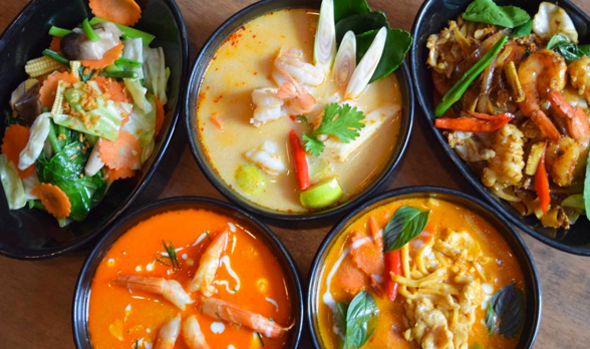 What’s On and The Black Hat Guide bring you the complete rundown of the best Thai restaurants in Dubai to make sure you’re not disappointed next time you crave the cuisine. For a full explanation of how the Black Hat Guide works, click here. A casual Thai eatery from the man behind the acclaimed Hakkasan and Wagamama (it’s a favourite in London). Think low and large communal tables and dramatic light fittings. We like the simple green papaya salad – just enough heat from the chilli, limey freshness and crunch in the vegetables. The modest interior and reasonable prices belie the quality at this established Thai pad. One of the best green curries in the city (pictured) – opt for the plump prawns – and a killer chicken panang. Also, a food court-based fast-food version (Dhs120 for two) of the popular chain. It’s not in the same league as the stand-alone restaurant, but you could do a lot worse if you’re in a hurry. The pretty restaurant, decked out with dark woods and welcoming lighting, is a busy place with smiley staff quick to offer knowledgable tips on what to order. The presentation was superb, each dish bursting with colour and flamboyant touches. The dish with the real movie star looks was the poo nim tod krab: fragments of soft shell crab fried with garlic and chilli, piled on top of each other. The crunchy crab had been given just the right amount of fire from the chilli and warmth from the garlic without being overpowered by either, which demonstrated the dish had been prepared with a delicate touch. Som tam – papaya salad to me and you – was simple and didn’t have too many bells and whistles, instead relying on the freshness of its ingredients to hit the right buttons. In the stir fry section was pad med mamuang which was heartily recommended with a big smile from our waiter. We chose the chicken option, fried with chilli paste, and accompanied by giant cashew nuts and vegetables – another hit. A piece of salmon (nueng manao) had been steamed to near perfection, jazzed up by lime, garlic and chilli and was a great choice for a healthier meal. 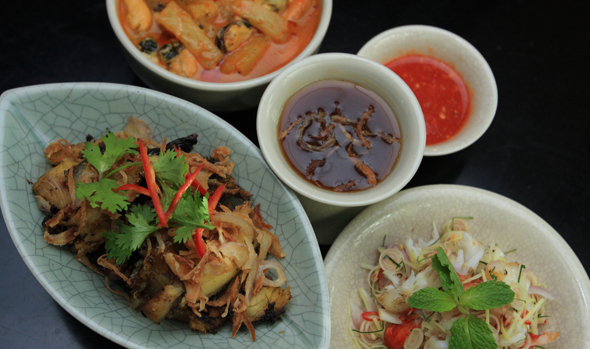 With food like this, it’s no wonder Little Bangkok has so many cheerful regulars coming through its doors. Business Central Tower, Dubai Media City, Dubai, daily noon to 11pm. Tel: (04) 4255968. Metro: Dubai Internet City. littlebangkok.com. Other locations: Sheikh Zayed Road, Umm Suqeim, JLT. 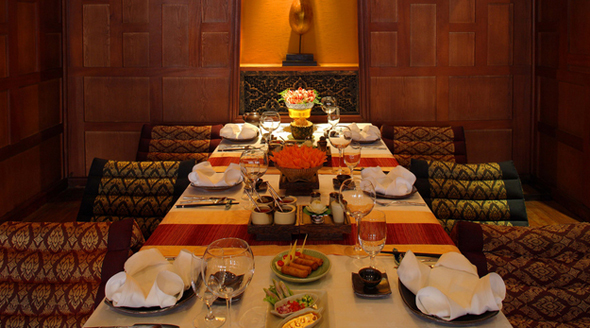 The Thai hotel’s signature restaurant offers an authentic menu in a very traditional ornate setting. You’ll feel like you’re in Bangkok, but you’re really on Sheikh Zayed Road. We’ve been many times over the years, and always find it to be reliable and true to Thai flavours. Arrive by abra, dine under the stars and be serenaded by live music at this romantic restaurant. 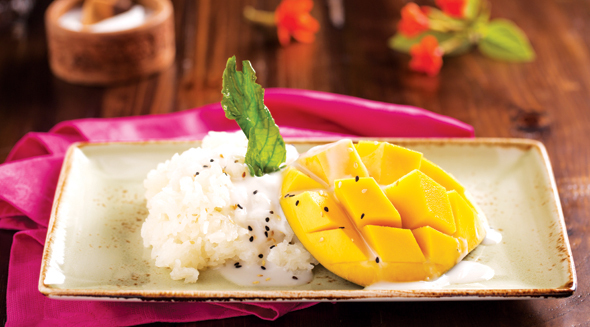 The dishes are elegantly presented, with top picks including sticky rice and traditional curries. This is a Dubai classic, and it’s consistent too. 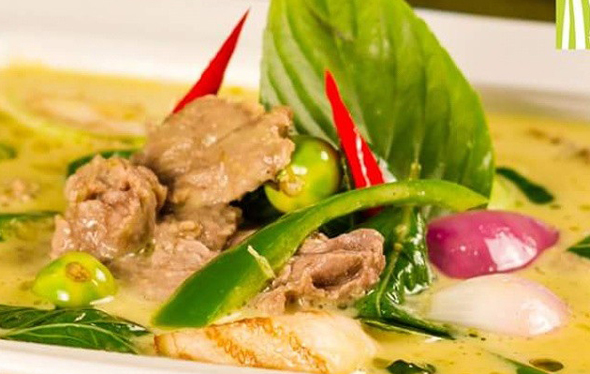 Classic Thai dishes created in an open kitchen and served quickly. 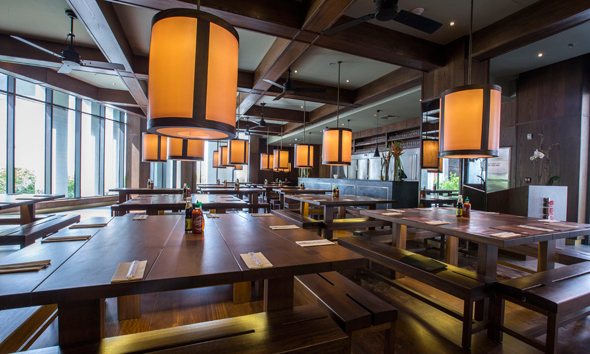 The restaurant is cosy, there is outdoor seating and the food and drink represent good value for money for a restaurant at a five-star resort. A safe option that won’t hit the wallet too hard. Thai Chi has a quaint bamboo-themed interior and serves up a steady stream of punters a decent selection of Thai classics. It’s an ‘old favourite’ for many Dubai There’s often a buffet set up too, if that’s you’re thing. We really love this one, and it’s one of Dubai’s most popular Thai restaurants, not just because of its lovely setting beside the marina in Old Dubai, but also due to its talented Thai kitchen team and the authentic sharing dishes, too. 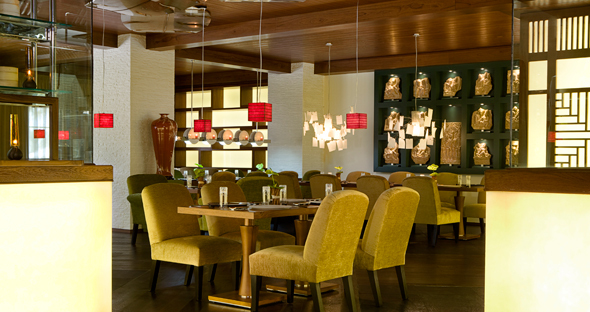 The ‘Thai tapas’ style brunch is one of our favourite Friday feasts in the city. 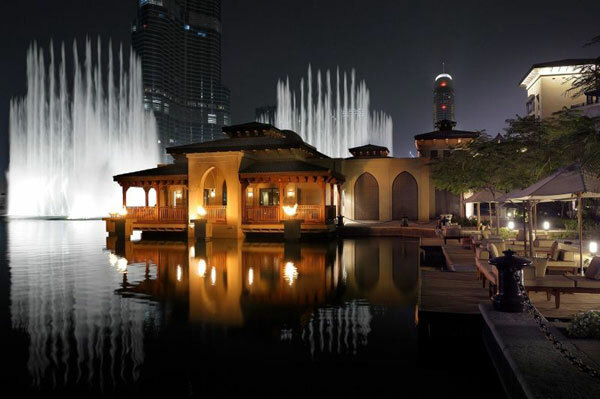 Thiptara translates to ‘magic on the water’, and this restaurant has a luxury feel and one of the best views of the Burj Khalifa and Dubai Fountains in the city. It’s basically super romantic, with its isolated feel and private entrance, and so is a great special date option. The food is elegant, well plated and inventive. Go while it’s still cool and sit on the terrace. The Palace, Old Town, Dubai, daily 7pm to 11.30pm. Tel: (04) 8883444. Metro: Burj Khalifa/Dubai Mall. theaddress.com. – For more about Dubai straight to your news feed, follow us on Facebook.